Safer Internet Day 2017 was celebrated globally on Tuesday 7th February with the theme ‘Be the change: unite for a better internet’. Coordinated in the UK by the UK Safer Internet Centre the celebration saw thousands get involved to help promote the safe, responsible and positive use of digital technology for children and young people. Our learners took the opportunity to highlight positive uses of technology and to explore the role we all play in helping to create a better and safer online community. Huntcliff students did inter-form activities and discussion. In Saltburn Primary, Year 5 produced word clouds on Tagul. – Mr Jameson did internet safety with his class, and Mrs Sawdon looked at what you would be happy to share online. 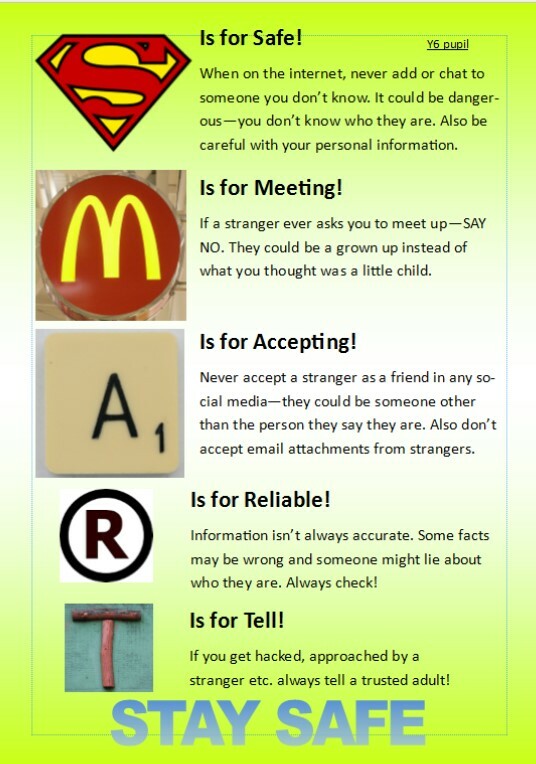 Year 4 learnt about how to be a good digital citizen, and Year 1 made posters and explored online safety on Purple Mash. 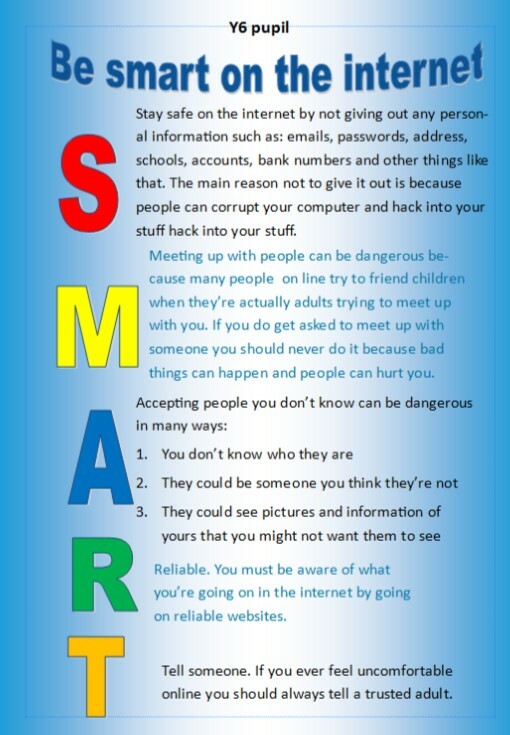 Year 6 were set the challenge of coming up with an eye-catching poster to educate younger children on e-safety. 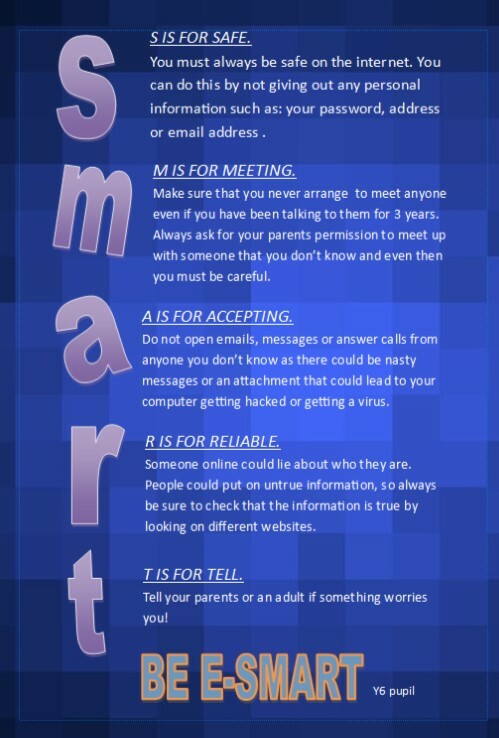 They used Microsoft Publisher and the ’SMART’ acronym to encourage young people to stay safe when online.